FREE 2/6/2013 UNTIL MIDNIGHT, DO NOT MISS THIS WONDERFUL TREAT. As a reader I was looking for an uplifting book to heal a broken spirit. Times were dark and health low, so when I came upon this book, with it amazing abilities to listen to music of instrumental tunes playing and read the lyrics at the same time, I was delightful surprised. This reader have not listened to Christian songs in a while, as I went away from the church due to excuses or life responsibilities taking priority over being in touch with the Almighty and self. 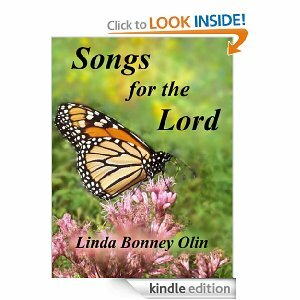 I listened to the music and read the poignant lyrics, written by the author and I felt as if I was once again a little girl worshipping at St. Patrick's Cathedral in New York City or a favorite local church. In awe with the wondrous sensations of being one with the Almighty. As the instrumental sounds seeped deep into thy vessel and the vibrations came, it became a healing balm and an enriching experience. The chorus of the instruments playing and the reading of the lyrics reach deep within this reader and I was lost to the wonder of hope, faith and divine love, once again. Gain faith in humanity with tears of joy pouring forth from my eyes and soul. Even if you are not Christian, this is beautiful instrumental gift, as if the angels are singing, listen carefully you might hear them. I highly recommend this book for all ages and all faiths. There one or more instrumental melodies or a songs that will reach into the reader's/listener's deepest recesses of a weary mind and the soothing sounds of the instrumental chords as well as the inspiring words may recharge you to believe in the impossible is the possible.